“Stop crying, it doesn’t hurt.” “You have nothing to worry about.” “You’ll be okay.” Such natural adult responses! But your child is very likely thinking: “But it DOES hurt!” “I AM worried!” “It’s NOT okay!” Children, like adults, do feel what they feel; telling them that they don’t just confuses and frustrates them, but doesn’t make the feeling go away. In fact, the child will feel misunderstood and lonely in these fears, and the emotional monster that has been created then feeds on itself. In addition, when it comes to physical pain, every human being has a different tolerance level for pain. What “doesn’t hurt” for one person may indeed hurt another. It’s impossible to judge another person’s pain—physical or emotional, whether that person is another adult or a child. So, if refuting your children’s feelings doesn’t help, what about explaining away the problem or giving sage advice? Neither of these ideas helps, either. Your child is so immersed in her feelings that while you’re busy explaining or advising she’s busy trying to convince you of her very real concerns. The result is that you both talk at, instead of to, one another, and your child must try harder to convince you of the problem. The core of this issue may be that we view child-size concerns through adult eyes. But seeing the whole picture is a matter of proportion: a child’s problems are relative to her size. Remember, for example, how high a countertop seemed when you were a kid? That’s because you were so much smaller. When you grew above that countertop, you forgot the frustration of reaching for a snack placed where you couldn’t even see it. Our fears are like that. And fears of one type or another are always with us--only their scale changes. Could the answer be as simple as acknowledging your child’s feelings? Letting them know that their feelings are real—simply by virtue of being felt—and that their concerns, pain, and worry are normal? Yes! That’s the key to the best response: validation. 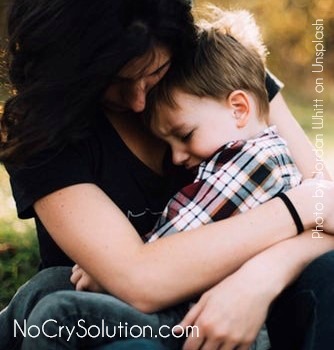 Next time your child approaches you with pain, fear, or worry, stifle the urge to respond in those usual unhelpful ways, such as defying the feelings, minimizing the fear or waving away your child’s concern. What your children want most from you at a time like that is to simply have you listen and acknowledge their feelings. “Yes, honey, I know you’re feeling scared. Even grownups don’t like to go to the dentist.” Once her feelings are acknowledged, she’ll be much more likely to hear your words of explanation or advice which, in turn, may actually help soothe her. If you deny her feelings, she’ll feel compelled to prove to you, and to herself, that her feelings are valid. If you give your children’s feelings validity, you can then help them to understand and surmount them. You can help to develop strategies to deal with the fear or pain that they struggle with. The tools you teach are the foundation for strategies she’ll build later in life when confronted by fears of a more adult proportion. Plus, when you help your children understand and identify their emotions, you will help them better understand themselves, and to trust their own perceptions about life. There’s another important benefit from this approach: if your children don’t feel ridiculed for expressing fears now, they’ll be more likely to come to you for the big stuff later. You’ll be the safe port in a storm your children will so desperately need later, a place they can go where they’re sure to be understood and comforted.